Mary Portas has made an emotive call for businesses to become places where women can feel “empowered”. The retail expert and TV presenter, 58, said the business world currently forces women into a “construct” that prevents them from being themselves. 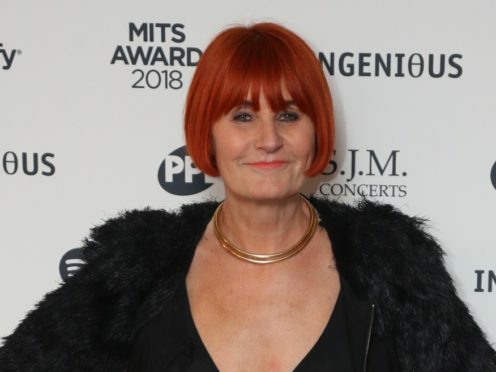 Portas, who was speaking at the Music Industry Trusts Award event in London, told the Press Association making business less hostile to women would also benefit men. Asked whether she felt enough female voices were heard in the business world, she said: “No, not enough. This is ridiculous. We are in 2018 and we are going ‘wow’, isn’t this great. No, it’s really unacceptable. Green took out an injunction against the Daily Telegraph to prevent it from publishing what the newspaper called “alleged sexual harassment and racial abuse of staff”. She continued: “It’s quite simply dated. The more we call this stuff out and the more young people say, ‘you know what, that’s not the type of place I want to work,’ that could change the face of business to be more about collaboration, to be about empowerment, to be sometimes about vulnerability and saying it’s okay to be vulnerable.